Do you use plastic containers or water bottles often? Water or food from a plastic container may be more dangerous than you think. One danger is the possible, eventual cost of ingesting the chemical called bisphenol A, or BPA. It is an industrial chemical that has been used to make certain plastics and resins since the 1960s. 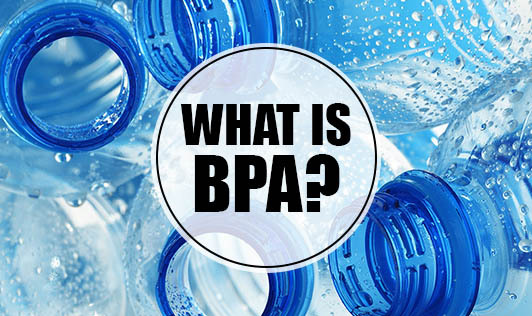 In particular, BPA is found in polycarbonate plastics and epoxy resins. Polycarbonate plastics are often used in containers that store food and beverages, such as water bottles and baby bottles and cups. They may also be used in toys and other consumer goods. Epoxy resins can be used to coat the inside of metal products, such as food cans, baby formula cans, bottle tops and water supply lines. Some research has shown that BPA can seep into food or beverages from containers that are made with BPA or into your body when you handle products made with BPA. BPA still remains controversial with varying conclusions and research studies are continuing. • Seeking out BPA-free products. This may not be easy to do. Some manufacturers label their products as BPA-free. It often has the No. 7 recycling symbol on the bottom. • Microwave cautiously. The plastics can break down over time, possibly causing BPA to leach into food. • Wash safely. Do not wash the polycarbonate plastics in the dishwasher using harsh detergents. • Use alternatives. Use glass, porcelain or stainless steel containers for hot foods and liquids instead of plastic containers. • Cut back on cans. Reduce your use of canned foods since many cans are lined with BPA-containing resin. Plastic containers can be very handy but give a thought before you use it!